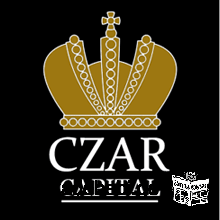 Czar Capital Ltd. specialises in providing access to invaluable professional information on money markets, including comprehensive trading strategies and also offering successful analytical portfolio management to our clients. At this moment we are expanding our business and we are setting up an office in Tbilisi (Georgia). We have done our research just to see how many companies/individuals are really involved in that type of business in Georgia (we can see, not much). We are looking for 2-3 professional traders for the full-time position within our company based in Georgia, with proven track record, analytical skills, etc. Salary $36,000-$50,000 a year plus bonuses. N.B. Interviews will be held at Radisson Blu Iveria between 20th-25th of January 2012.